At a meeting of the Geologists Association in 1947, Alvan T. Marston delivered a paper on the Piltdown mandible and canine tooth, both of which he described as pure ape. During the ensuing discussion, Kenneth Oakley, of the British Museum of Natural History's Geology Department, suggested that it might be feasible to subject the Piltdown fossils to a test for fluorine content. This test would be the undoing of Piltdown Man. Fluorine had first been detected in teeth in 1802. By 1844, it was known that teeth and bones absorbed the element from an environment that had it. Absorption of fluorine changes the phosphate hydroxy-apatite (the main component of teeth and bones) to fluorapatite. The test can't determine an absolute date, but can reveal whether two relics in the same fluorine-rich environment have been there for the same amount of time. If two or more pieces from the same site were to contain radically different amounts of fluorine, that would mean that they had arrived there at different times. If they show the same amount, then they could have been deposited together. The femur, skullcap, and tooth from Java checked out as having the same amount of fluorine, which was not inconsistent with the thesis that they had all come from the same possessor. Applied to Galley Hill, the test showed that the skeleton contained the same amount of fluorine (0.3 percent) as post-Pleistocene fossils, and had not, therefore, been a Pleistocene burial. The Swanscombe skull and accompanying Elephas relies had absorbed the same amount of fluorine (2 percent) since they had come to rest on the Thames bank in the middle of the Pleistocene. The test knocked out the antiquity of hominid fossils from Bury St. Edmunds, Dartford, Baker's Hole, and London. In September 1948, the British Museum's Department of Geology gave permission for Oakley and his associates to drill into Piltdown Man. This wasn't as much of a desecration as drilling into the Crown Jewels, but the fossils had been protected from German bombs during two wars, from being molested by inquisitive scientists for forty years, and even from the public, who viewed not the fossils themselves, but casts. The drill bit into the mammalian fossils. The pit was shown to have contained populations from different ages: the older, Lower Pleistocene, or Villafranchian, was represented by the mastodon and elephas fossils (2-3 percent fluorine); the more recent, Middle or Upper Pleistocene, by deer and beaver fossils (less than 1.6 percent). It bit into Eoanthropus, cranium and jaw. Eoanthropus checked in at 0.2 percent. The results of the fluorine test have considerably increased the probability that the mandible and cranium represent a single creature. The relatively late date indicated by the summary of evidence suggests moreover that "Piltdown Man," far from being an early primitive type, may have been a late specialised hominid which evolved in comparative isolation. It is evident that many mistakes have been made concerning Piltdown Man-many mistakes by many highly qualified and highly placed men. To err is human and none of these men have been divine. The British Museum of Natural History continued to display Piltdown Man as though he were one being. In September 1949, Kenneth Oakley read a note to an anthropological meeting at Newcastle; this note, from Robert Broom, the famous finder of australopithecine remains, stated Broom's conviction that the canine tooth "is not at all anthropoid. The author now has scarcely any doubt that the Piltdown mandible belongs to the same individual as the associated brain case." As for the simian shelf, Broom thought that a specialization due to parallel evolution. Vallois and Movius were compiling their Catalogue des Hommes Fossiles. Oakley wrote the section on "Royaume-Uni" fossil remains. For the Piltdown fossils, he listed the bones; dated them as contemporary with deer and beaver fossils; and noted that Site II was probably Sheffield Park. He rejected any validity to the conjecture (which Weinert among others had offered) that the bones from Site II had belonged to the skull from Site I, that possibility being to Oakley "infinitely remote." He also gave an inventory of the various taxonomies proposed for Eoanthropus: those who thought that skull and jaw belonged together called the whole thing Eoanthropus dawsoni, though Kleinschmidt had in 1922 recommended Homo sapiens dawsoni,. (2) those who separated the two gave different labels to cranium (Miller, Eoanthropus dawsoni, Marston, Homo sapiens) and to jaw (Miller, Pan vetus; Friederichs, Boreopithecus dawsoni, and we could add Boule's Troglodytes dawsont). This exuberance of taxonomic labeling reflects a good deal of uncertainty about what any of it was. The Catalogue, with Oakley's tacit acceptance of Piltdown Man as authentic, was published in 1952. At a Wenner-Gren International Symposium in June 1952, Oakley told his colleagues that Piltdown Man had lived not a million years ago, as Osborn had estimated; not even 200,000 years ago, Keith's estimate; but only about 50,000 years ago. But Eoanthropus had lived. To the American anthropologist Ruth Moore, the test proved that "there has been no miracle mixing of bones.... Oakley emphasizes that it is still possible that the remains represent two creatures, though this does not now seem likely" (Moore, 1953). Hans Weinert found support for his theory: that the two parts belong together, the lower jaw as hominid as the cranium, but an atavistic structure. Oakley's continued defense of Piltdown Man's integrity and rationalizations like Weinert's atavistic jaw and Broom's convergency of shelf strut failed to discourage the skeptics. At a 1950 talk to the Oxford University Anthropological Society (Daniel, 1983), Oakley described his test and its  results. In the audience sat J. S. Weiner, of the Department of Anatomy of Oxford University. The two met each other for the first time and discussed the Piltdown problem. Later, Wilfred Le Gros Clark, a colleague of Weiner in the Department of Anatomy, discussed it with Oakley. Weiner had his doubts about the accuracy of the first test-based on small samples, it could not detect minute differences in fluorine content. Ashley Montagu's contribution (Montagu, 1951) severed cranium and jaw. Marston returned to the fight with his 1952 "Why the Piltdown Canine Tooth and Mandible Could Not Belong to Piltdown Man." As 1953 approached, at an international congress held in London, no one read any papers on Piltdown Man. He was welcomed with a degree of hospitality not seen since Banquo's ghost came to dine. Stratigraphic analysis going back to Dawson's day and the earlier fluorine test had suggested that elephant, mastodon, and rhinoceros had lived earlier than other fauna whose remains were found in the pit. The new test, showing these fossils having a greater concentration of fluorine, validated those suggestions. No surprise there. Eoanthropus had already been shown to be recent. But the figures showed something troublesome: a difference in fluorine content between cranial fragments and jaw. Apparently, Eoanthropus was, after all of forty years of controversy, composed of parts from two different beings, one of whom (she of the cranial fragments) had lived before the other (he or she of the mandible). Piltdown Man was certainly an enigma. He could not have been old, because the fluorine test dated him well after the Middle Pleistocene. He had about as much fluorine in him as did the scientists probing him. Yet he could not have been recent, with so primitive a jaw. He could not have been two beings: the major paleontological authorities, extinct Woodward, Smith, Sollas, and Osborn and extant Keith and Hooton and others had affirmed him to be unified. Yet he could not have been unified, since the cranial bones contained a higher content of fluorine (at 0.1 percent) than the mandible (at 0.03 percent). How the piece of hippopotamus tooth, with so much less fluorine than pieces from the other fauna, had come to land in that pit was a minor problem compared with the new and more accurate results finally realizing the hopes of Miller and other skeptics: the dissociation of cranial and mandibular fragments. Having once started, the investigation drove on. Another dissociation: the cranial fragments were from an individual who had lived before the one represented by the molar. The Site II molar could have come from the jaw at Piltdown, as Lankester, Hrdlicka, and Weinert had intimated. Since it could not have transported itself from Site I to Site II, it must have been carried there. Dawson's friend Sam Woodhead, invited by the solicitor to analyze the cranial fragments, had detected no nitrogenous content in them. He did not analyze the mandible, perhaps because, or so thought Le Gros Clark, he didn't want to mutilate the delicate jaw bone; or because he felt no need to do so, the cranial fragments taken as representative of the entire hoard; or because he was the hoaxer. Had he tested the mandible, he would have found that it did contain nitrogen; such a disparity-top inorganic, bottom organic-would have split the contraption right away. In the course of drilling the mandible, Oakley saw that the material slivered off, as though from bone, while the cranium powdered, as rock would. He also smelled burning bone, the same odor that most of us know from having our teeth drilled. And an examination of the canine and molar teeth showed that, as Oakley and Hoskins noted, "below an extremely thin ferruginous surface stain their dentine was pure white, apparently no more altered the the dentine of recent teeth from the soil." The jaw seemed to be more like new bone than old stone. Unlike fluorine, the organic element nitrogen is released over time. The less nitrogen, the older the fossil. 1. The frontal bone from Site II, with a residual nitrogen content of 1.1 percent, falls within the range of the Piltdown cranial pieces. It seemed to have come from the same skull as those and it junctured well with the Piltdown cranial fragments. 2. The molar from Site II probably came from the Piltdown mandible. It was the right size, and close enough in chemical content. 3. The canine probably did not. 4. The Site II occipital bone aligns with nothing and came from a different human being. In fact, it occupied the same occipital region as that of the Site I piece. 5. The Piltdown nasal bones have the same nitrogen content as the mandible. However, nasal bones are part of the skull, not the jaw, and the nitrogen content of the nasal bones is so much higher than that of the cranium that it could not very well have belonged to that cranium. Its source was someone else's head. 6. The bone called a turbinal could have come from the Piltdown face. Organic carbon, which like nitrogen dissipates over time, was high in the jaw and teeth, in the nasal bones, and in the turbinal, but lower in all the cranial fragments from the sites. Other tests conducted for collagen, ash, water content, and specific gravity reinforced each other, showing that Piltdown Man was a diverse population: the Piltdown cranium and the Site II frontal fragment from one individual; the Site II occipital from another; the nasal bones from a third; the mandible and isolated molar from a fourth; the canine from a fifth. The Barcombe Mills material, three skull fragments and a molar, had their sources in the heads of two people who contributed nothing to the Piltdown assemblage. Piltdown Man was, as the skeptics had long hoped he would be, abolished. The mammalian fossils came in for their share of the fun. Almost all of them had emigrated to Piltdown. Oakley thought that all of them had. In 1968, he wrote, "I must point out that after establishing this primary fact [that the jaw was of a modern ape], a thorough investigation of the specimens in the succeeding year enabled us to show that they had all been faked or 'planted' and not a single fossil bone or tooth had genuinely occurred in the Piltdown sites." The beaver may have swum in the Ouse and the deer may have locked antlers with a rival on its banks; but the mastodon and rhinoceros molars had come from the Red Crag deposit, in East Anglia. That was a short journey, though how they had accomplished the trip was mysterious. The elephant femur may have also undertaken a short journey, from the Thames terrace, or from a few hundred miles away, the valley of the Somme in France. 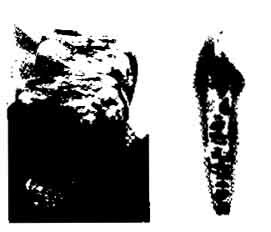 A test for radioactivity of the Elephas molar fragments (labeled by the British Museum as E596, E597, and E620), which Woodward thought very singular finds, sent the Geiger counter into a tumult. Only one site in the world could bombard these fragments with so much radioactivity: Ichkeul. They had trekked a long way from northern Tunisia to southeastern England. As for the hippopotamus, fossils of its extinct form had been reported, rarely, from British sites. But the fragment of a hippopotamus molar had the low fluorine content, and the creamy color, of similar teeth from the Mediterranean. The Piltdown pit's hippopotamus tooth fragment was traced to a limestone cave in Ghar Dalam, Malta. Thus the Piltdown assemblage had something to say for itself. it was a cosmopolitan crew, from East Anglia, the Thames terrace or Somme valley, Tunisia, Malta; and, it would soon become clear, Borneo, home of that old man of the forest, the orangutan. Somehow, all these animals had wandered, like elephants trudging to an ancestral graveyard, from various sites in Europe and Africa. Or maybe a person or persons unknown had inadvertently dumped them  into the pit and onto the field, where they were later found and misunderstood. Or had done it advertently. It was all very untidy. Every test that established date, composition, or source, unleashed more problems. Another series of tests proved that Piltdown Man was not a mistake in interpretation (though it had enough of that), but a hoax. Kenneth Oakley, who was born in 1911, the year that Dawson undertook a systematic search of the pit, was one of the trio undertaking a systematic search of the Piltdown assemblage. He was joined by J. S. Weiner and Wilfred Le Gros Clark and other investigators. It is not clear just who or what stimulated the hypothesis that Piltdown Man was not a mistake, but a deliberate hoax. The different accounts of how the exposé was initiated provide a nice symmetry to the different accounts of how the fossils were first found. Kenneth Oakley recalled that the results of the 1949 fluorine test implying that Eoanthropus was recent aroused an instinctive reaction that it was also bogus. But he did not share that suspicion with the readers of his published pieces on the test. According to Le Gros Clark, the molar teeth started people thinking of fraud: in the British Museum's first (1953) monograph on the exposé, he wrote: "It was because these features appeared to lend such strong support to the hypothesis of artificial abrasion that it was decided to re-examine all the Piltdown material for further evidence of faking." J. S. Weiner gave a different account of the beginning that led rapidly to the end. During a paleontological conference, he had dinner with Oakley and the American anthropologist S. L. Washburn. They chatted about the unusual circumstance that no one knew the exact location of Site II. Weiner began to attend to the whole tangle, the anomalous and increasingly tenuous position Piltdown Man held in the sequence of human evolution; the early test results showing disparate ages of the fossils; the hints that an intimate, not to say indecent, relationship obtained between the Site II molar and those in the Piltdown jaw; the question about whether Piltdown Man was one being or a composite. Perhaps the jaw, which seemed to be that of a modern great ape, was in fact that of a modern great ape? But, if so, how had it gotten into the pit? And if an ape jaw, from where did it get its human dentures? A modern jaw with flat worn molars and uniquely worn-down eye tooth? That would mean only one thing: deliberately ground-down teeth. Immediately this summoned up a devastating corollary-the equally deliberate placing of the jaw in the pit. Even as a mere hypothesis this inference could at once dispose of two of the most intransigent Piltdown posers: how the jaws and teeth had ever got there and how the teeth had come by their remarkable wear. But the hypothesis of a deliberate "salting" of the Piltdown gravels clearly carried much wider implications, and the idea was repellent indeed. The patinas on the fossils ranged through a colorful spectrum, yellow, brown, orange, rust, red. Some of the fossils had taken on color naturally-the mastodon and rhinoceros tooth fragments were hued like their peers in the Red Crag site. The original cranial fragments may have had a rust color, but no one could be sure because Dawson had said that he (and Abbott added himself) had dipped those fragments in potassium bichromate in the belief that the compound would harden the fossils. So it was expected that these pieces would have chromium on their surface. But other fossils should not have had any traces of chromium. They could not have absorbed chromium from a site that did not have any. A patina of chromium was detected on the faunal teeth, the mandible, and one of the flints (E606, found by Teilhard de Chardin). The fossils had been stained through submersion in potassium bichromate prior to their discovery, unless some wise guys at the British Museum did it after Woodward delivered immaculate pieces there. The staining gave the fossils an appropriate and deceptive patina of mineralization and speeded up oxidation brought about by other means. Leaving no stone unturned, the investigators subjected the fossils to X-ray analysis. X-rays passed through bone crystals will defract them at a characteristic angle: this angle is distorted by sulphate in the bone crystal. The hoaxer had dipped many of the fossils into a sulphate solution (and some of them into both potassium bichromate and iron sulphate solutions) to dress them in rust, the rust of iron oxide. But in this process, phosphate in the bone was replaced by sulphate from the solution; and bone apatite converted to gypsum (the same gypsum used in fertilizers and in plaster of Paris), and the presence of that gypsum was additional evidence of fraud. Apatite stems from the Greek apate, fraud. The German descendant Apatit means the deceptive stone (because it looks like other minerals). The staining had left 7 percent iron throughout the width of the cranial fragments; 8 percent on the surface of the jaw, falling to 3 percent within a few millimeters, the iron sulphate solution not soaking in deeper  than that. This was additional evidence, if any were needed, of incongruity between cranium and jaw. In 1960, Ashley Montagu wondered whether the hoaxer had renovated the cranial bones by thickening them artificially. After all, that fellow had falsified just about everything else; why not the cranial bones? Montagu gave an old skull a bath in potassium hydroxide and found that it swelled. But Oakley disagreed: the cranial bones were already slightly mineralized and these sub-fossils had the same thickness as many other skull bones in the British Museum. Frank Spencer recently (1984) diagnosed the skull as suffering from the osteoporosis of Cushing's syndrome. The cranial fragments had from the beginning been recognized as belonging to a human skull, though the idea that the occipital bone was apelike turned out to be, like all the other propositions about the apeishness of the skull, hokum. The Piltdown skull was that of a 40-year-old woman, its coronal and sagittal sutures having closed in her advanced age. The occlusal surfaces of the molar teeth and canine had been painted with red sienna, the sides of the canine with Vandyke brown. The canine is one of the more intriguing of all the deceptive stones in this lapidary. It was fake from top to bottom and side to side. Its appearance on August  30, 1913, with features seemingly halfway between ape and human being, stifled some hostile criticism and led to much admiration not only of Teilhard's sharp eye but also of Woodward's talent at prophecy. The dental consultant, Dr. Underwood, put down his colleague Dr. Lyne, who was upset by signs of adolescence and maturity in a single tooth. The investigation of 1953 supported Dr. Lyne's position: the canine tooth had recently erupted in some jaw, its large pulp cavity a sign of its youthfulness. Its crown looked old because of artificial aging, that is, because it had been filed down. Crisscross scratch-marks were seen in 1953. The hole penetrating into the pulp cavity had been taken as evidence of the tooth's maturity. But the inventor of the canine had filed away too merrily, right into the pulp cavity, and then had filled the hole with a material like chewing gum. The surface of the tooth had been so well abraded that dentine was exposed. Yet X-ray analysis showed no sign of secondary dentine formation. The 19 sand grains in the pulp cavity were unnaturally loose rather than compact and unrepresentative of the mixture of different sizes in the pit itself. They had been inserted into the cavity. The root may have been broken to make it shorter than an ape's canine root. Whenever Arthur Keith felt uneasy about Piltdown Man, he looked for solace to the molar teeth. They always came to our aid, he sighed. The molar teeth had been abraded, filed down, and smoothed out with acid, but they had not been filed on the same plane, one inclining obliquely to the other. Miller and Marston had both simulated how such flatness could be achieved by taking a file to chimpanzee teeth, though when they did that neither one anticipated being on the trail of hokum. Le Gros Clark studied a sample of 137 ape jaws and 200 human jaws to define acceptable boundaries of molar teeth features. He showed that the Piltdown molars could not have grown in any mouth, ape or human. Pycraft, in an excess of devotion to the Piltdown jaw, had once pointed out that the angle formed by the molar's occlusal surface and by its side was a sharp right angle, as in human teeth. Le Gros Clark cleared up Pycraft's confusion: The edge of human molars is beveled. He was delighted. He took the "fossil" into Le Gros Clark's office, put it on the desk, and said with a great air of innocence: "I got this out of the collections. What do you suppose it is?" Sir Wilfred, not an unperceptive man, perceived exactly what it was, and exclaimed, "You can't mean it!" A miscellany of other clarifications came out of the analyses. The flint tools had originated in sites on the Sussex chalk Downs. They too had not been in the pit for longer than a little while. They could have been taken from a "neolithic block" and made to look older. The elephant femur bone implement had been faked too, with a modern metal knife. Oakley whittled one just like it. The turbinal was not a turbinal, but slivers from the limb bone of a small animal. As for Piltdown Man's origin, he had at first been generally accepted as a Pleistocene product, or even Pliocene. The early stages of the investigation showed that he was no more than 50,000 years old; but radiocarbon dating brought him and the jaw closer to our own time. It showed that the skull had been in the head of a woman who lived no more than 630 (+ or - 100) years ago and who may, therefore, have been a contemporary of Geoffrey Chaucer. The jaw bone was that of an orangutan, dated as having swung from tree to tree 500 (+ or - 100) years ago; that ape then could have been a contemporary of Shakespeare. Where the hoaxer had located a five-hundred-year-old orangutan jawbone remains unanswered, though some guesses will be considered later. Ultimately, it had to come from the East Indies, where such fossil fetishes are venerated by Dyaks. A small casualty of the whole affair was Ruth Moore's Man, Time, and Fossils. This book has the misfortune of being the last defender of Piltdown Man's authenticity. Apparently, the manuscript was in press  just as the news of the exposé broke. Moore finds Piltdown Man important because he shows, or his large, modern head shows, that modern man is more recent than paleontology had assumed. To date the arrival of modern man at about fifty thousand years ago instead of the one million previously set for him shakes anthropology, history, and the theory of evolution. Man, Time, and Fossils came out in 1953. So did the British Museum's The Solution of the Piltdown Problem. FEATURES OF THE PILTDOWN SKULL "DELIBERATE FAKES"
That the deception-whoever carried it out-has, though cunning and long successful, at last been revealed is a tribute to the persistence and skill of modern palaeontological research. Piltdown Man, Jr., turned out to be as spurious as his dad. The next day, in the same paper, still another report, "Early Man," this on how the exposé affected modern theories of evolution. It cleaned up a mess. In the Times of November 26, a letter appeared from one L. M. S. Kramer: "Sir-May we now regard the Piltdown Man to be the first human being to have false teeth?" This article reported that Earnest Hooton had expressed "shock and disbelief' at the implications of the hoax. However, Hooton didn't really seem all that jolted by the loss of his Lady Eoanthropus, the world's first female intellectual. "It doesn't disturb our ideas of human evolution at all," he maintained. "If it is right that the head is a fake, it loses all significance and removes a very puzzling link." The results of the investigation, he went on, "impugn the honesty" of Sir Arthur Smith Woodward. Five months later, in April 1954, Hooton published fuller comments on the Piltdown exposé He expressed reservations about the accuracy of the tests and a hope that he might live to "witness the discovery even of an authentic Eoanthropus-jaw, brain case. and all." Here he rejected the insinuation that Smith Woodward "could have had anything to do with the perpetration of this alleged fraud. Nor would 1 have believed it of Dawson, whom I never knew." While Hooton does not advise anyone to be reckless, he also does not advise any paralyzing caution. Sherwood Washbum, on the other hand, draws this lesson: "There never was enough of the fossil to justify the theories built around it." That this House has no confidence in the trustees of the British Museum, other than the Speaker of the House of Commons, because of the tardiness of their discovery that the skull of the Piltdown Man is a partial fake. The motion did not have much chance for passage. Among the trustees of the British Museum were not only the Speaker of the House of Commons but also the Prime Minister, the Lord Chancellor, and the Archbishop of Canterbury. The Speaker queried the seriousness of the motion and made the excuse, one would suppose amid poorly suppressed hilarity, that the honorable trustees "have many other things to do besides examining the authenticity of a lot of old bones." Another member warned that there were enough skeletons around without getting into skulls. Mr. Beswick then queried what had happened to the Dentists Bill, to which Mr. Crookshank replied that he had no announcement to make other than that that was not a fake, to which Brigadier Clarke begged leave to withdraw his name from the motion "in view of the excellent answer which 1 have received." Like other scientific hoaxes, Piltdown has not been a topic of much interest to novelists. He appears in Jessica North's Mask of the Jaguar (1981) and in Angus Wilson's Anglo-Saxon Attitudes ( 1956), one plot of which is the discovery of an old English Christian tomb that contains an intrusive idol from a pagan cemetery. Professor Pforzheim complains about his discipline: "Alas, we historians have so little scandal. We are not paleontologists to display our Piltdowns." Sir Edgar complains about the investigation: "We pursue humane studies, we're not technicians. All this spectrographic analysis and fluorine tests and what-not. There's no place for 'sweetness and light' in all that." The liturgical phrase hoe est corpus meum, "here is my body," whelped three degraded offspring, hocus-pocus, hoax, and hokum. The body of Dawn Man and almost all his dawn buddies had been brought to Sussex, renovated, planted, discovered, and acclaimed in a case of scientific hocus-pocus that finds no parallel in the history of paleontology, or biology, or science. The fake muddied the theory of human evolution for four decades, catching in its swirls many of the best scientists of England. The questions of where the fossils originated, of what was done to them, and of how they succeeded in fooling so many people so much of the time were answered thirty years ago. "This may hurt, but I'm afraid I'll have to remove the whole jaw." remained there for forty years; and what blew it off. As we approach the pit's fiftieth memorial anniversary, perhaps the only time in history that a hoax has been memorialized as a national monument, the questions of why it was done and who did it have still not been answered. It's possible that someone other than those identified in the literature as hoaxer created the coconut, such as J. Reid Moir or A. S. Kennard or someone whose name is not even known. Maybe the hoaxer was an Edwardian Flint Jack, one of the workmen digging up gravel, a scion of the de Vere Cole group (mentioned by Daniel, 1972), or an English schoolboy fooling around- the contribution of H. J. Fleure. The present owner of Barkham Manor suggested to me, one would hope as a joke, that the past tenant of Barkham Manor, that is, the elder Kenward, did it as a joke. Abbott, W. J. Lewis	Hinton, Martin A. C.
Dawson, Charles	Sollas, W. J. 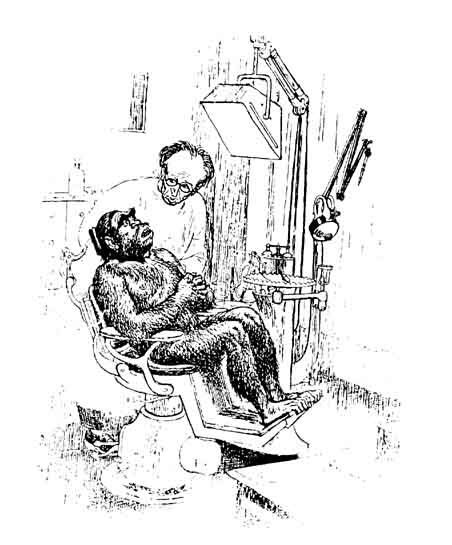 The following section begins with a profile of the Piltdown hoaxer, a generalized sketch, and then tests how well each of the suspects merges into that sketch.